As far as this beer goes, I went into it with high expectations (Rogue hasn’t let me down yet) and I wasn’t dissapointed. A good dark ale with plenty of hoppiness and winter spice, this one didn’t dissapoint. To top it all off, since it isn’t really winter anymore, they sold me the bottle for $0.99. I should have bought them all! I rate this one right up there near the top of the winter ales we have had on the blog with the Full Sail and Sierra Nevada. 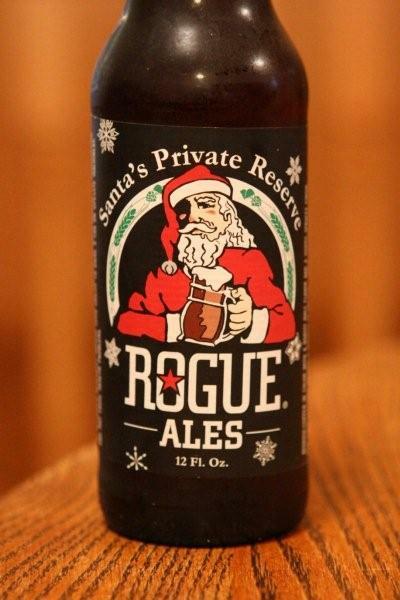 This entry was posted in Rogue Brewery, Winter and tagged Full Sail, Logan, pistol, Private Reserve, Rogue, Rogue Brewery, Rogue Santa's Private Reserve, Santa, Santa's Private Reserve, shooting, Sierra Nevada, UT, Utah, Will Buy Again. Bookmark the permalink. Score! Wow you got a great price on some really good brew. Better run back and see what’s left! Glad you enjoyed it, thanks for telling everyone about Santa’s Private Reserve. Drink all you want…we’ll make more! Thanks to you, Rogue Ales… 🙂 Very cool that you guys are reading blogs about your brews and very glad you will keep making it. As you can see, we like our beer here and are hoping all future Rogue ales satisfy just as much.